In the midst of accusations of sexism and sexual harassment by aides on Bernie Sanders’ 2016 presidential campaign, the senator’s former campaign manager acknowledged Wednesday that there had been “a failure,” and Sanders is promising to make sure the same problems do not emerge if he runs in 2020. Over the past week, alumni of Sanders’ presidential campaign have stepped forward to allege inappropriate behavior and unfair treatment of women. Numerous individuals said that staff on the campaign had not taken a complaint about sexual harassment seriously and had treated women unfairly. On Monday, Politico reported that former Sanders aides requested a meeting with the senator and his top political advisers to “discuss the issue of sexual violence and harassment on the 2016 campaign, for the purpose of planning to mitigate the issue in the upcoming presidential cycle.” The letter did not provide details of what was being alleged. Two days later, the New York Times reported a specific instance in which a Latino outreach strategist for the campaign complained to a supervisor that she had been harassed by a campaign surrogate, but the issue was not appropriately addressed. Erika Andiola was the press secretary for Latino outreach, then later the political director for Our Revolution, a progressive organization that spun off from the 2016 Sanders campaign. She told NPR that she recalls a phone call in spring 2016 with senior officials on the Latino outreach team. The alleged case of sexual harassment first reported by The New York Times was brought up, as well as broader complaints about pay equity for women on the campaign. Female staff members and interns also expressed concerns that they were being made to do unimportant work compared to their male counterparts. The response to their concerns, Andiola said, was disappointing. Lucy Flores, a former Nevada assemblywoman and a surrogate for the Sanders campaign during the 2016 presidential primary, said she was contemporaneously aware of these same allegations of “misogyny” during the campaign. “There was essentially a cover-up” when issues were raised, she told NPR. Flores added that sexism isn’t an issue isolated to the Sanders campaign, saying it commonly occurs in campaigns. “Frankly, I do think it’s a little unfair … that the attention and all of the conversation is including Bernie’s name, because this isn’t just something that’s limited to Bernie’s campaign,” Flores said. Responding to allegations of sexual discrimination and harassment during the 2016 campaign, former Sanders presidential campaign manager Jeff Weaver acknowledged shortcomings during that period. A Sanders aide told NPR that they intend to meet with those who signed the letter first reported by Politico. On Wednesday, Sanders’ team released the sexual harassment policy for their 2018 senatorial re-election campaign, which showed that a third-party hotline to report sexual harassment had been established. Andiola said that she was unaware of any such line during the 2016 campaign. The 2018 Senate campaign also had a mandatory briefing for all staff about their “zero-tolerance” sexual harassment policy and required supervisors to report any complaint of harassment they received. Asked about the reports on Wednesday evening, Sanders issued an apology. 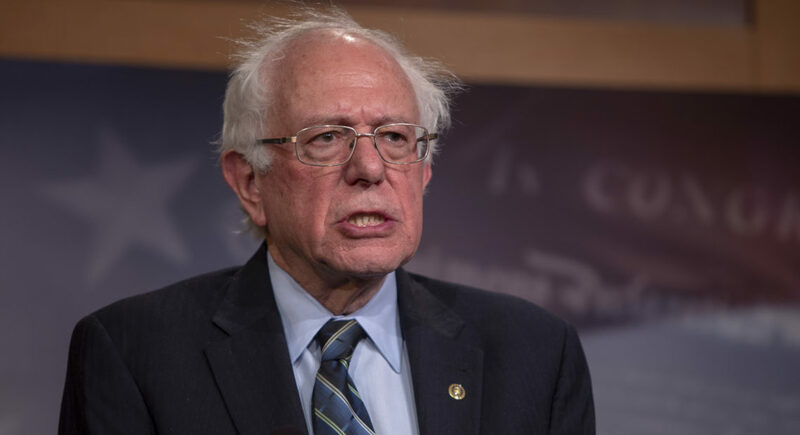 “I certainly apologize to any woman who felt that she was not treated appropriately, and of course, if I run, we will do better next time,” Sanders said on CNN, stressing the steps that his 2018 senate re-election campaign had taken. Pressed by host Anderson Cooper about whether he was aware of the allegations during the 2016 campaign, the U.S. senator from Vermont said he was not. “I was a little bit busy running around the country, trying to make the case,” Sanders responded.